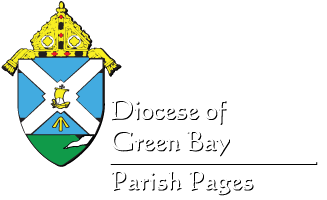 We are pleased to share Parish Pages as a way to digitally distribute information and resources throughout the Diocese of Green Bay. All clergy, parish staff, school staff, religious, and community leaders are welcome to subscribe to this digital e-publication. If you need any further information about or assistance subscribing to the Parish Pages, please contact Barb Gauthier, lead coordinator of Parish Pages, at 920-272-8208. Click below to download a PDF copy of the distribution calendar for the Parish Pages for 2019. When you save a file please match that file name to the name of the item that is being listed in the Parish Pages. So if you create an event flyer for your big event, save the flyer as something like “BigEventFlyer.pdf” and then match that with your submission title being, “Big Event Flyer” as your resource name. This helps both the Curia and frontline staff alike. A title for the document that is 8 words or less based upon the file name. Any document or resource submitted for inclusion into the parish (not connected to an event) may be submitted ONCE for inclusion in the Parish Pages. The field has asked us not to replicate documents and resources because it confuses what is new and what is not new in each edition. The one exception to this guideline will be for events. As we recognize that events are announced well in advance of the actual event date, event information and resources may be submitted once at the time of the announcement of an event, and then again once between that date and the actual date of the event. The Parish Pages is primarily for frontline staff to receive and quickly review diocesan resources and information. They have asked us to streamline this digest of sources as best possible. As much as possible, please only distribute diocesan-produced content and links. Otherwise, we risk content over-saturation which the field has told us significantly or eliminates Parish Pages engagement. Resources, documents and links will be included and prioritized in the order that they are received. If any edition becomes lengthy, inclusion of items may be delayed to a later edition to keep reader time to a minimum. If you have any suggestions during this pilot period, or beyond, please let us know, and we will do our best to create a win/win outcome for all, Curia member and frontline staff alike. If you have any questions or concerns about these guidelines during the continued pilot phase of the refreshed Parish Pages, please contact Matthew Livingstone at mlivingstone@gbdioc.org or (920)272-8214. Thank you! God bless.